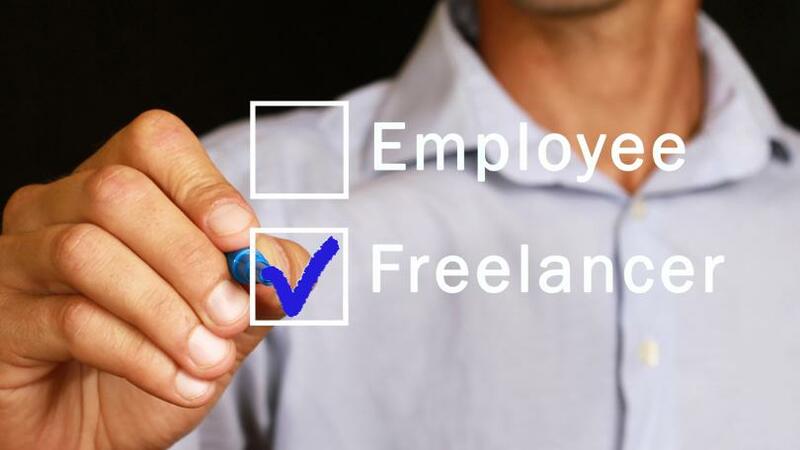 Freelancing offers the opportunity to work with more flexibility and the freedom to create a desirable lifestyle. While becoming a freelancer has definite perks, it’s not the best option for everyone. This week, we’re looking at what you should ask yourself when deciding whether or not to become a freelancer. Why do you want to freelance? Think about your reasons for wanting to become a freelancer. Perhaps, it’s the idea of being your own boss and freedom to create the lifestyle you want. The kind of freedom that you want can come from being a freelancer, but it takes significant time, effort, and patience to get there. You may not get what you need in the initial phases of your freelancer business. As such, it’s important that you are becoming a freelancer because it’s aligned with your values and goals in life. Are you ready to take ownership of your success? As a freelancer, you are a business owner. That means you are the one who makes the decisions on which clients to work with, what projects to take, how to charge for your projects, how you manage your projects, when to work, where to work, and so on. Each decision you make has implications on your business, so you need to be ready to take ownership over your actions and how they translate into your success. It takes quite a bit of organizational skills to operate as a freelancer. In addition to maintaining your own personal finances, you are responsible for invoicing your clients, collecting client payments, and keeping track of business expenses. All of this, on top of managing projects and communications with clients. Not to mention the work to market yourself. It’s important that you are honest with yourself about your willingness and ability to stay on top of all the activities needed to run your freelancer business. Are you willing to do work for others? While you are your own boss as a freelancer, you are still doing work for others. You are using your knowledge, skills, and talents to solve a problem and/or create results for someone else. As a freelancer, you will spend a large portion of your time delivering on work for your clients. And because you won’t be working alone, you will need to set realistic expectations with your clients, honor your commitments, and communicate any issues or challenges with the work. As an employee, you benefit from having a brand behind you and often someone else in the organization who has the responsibility of landing clients. But as a freelancer, you are responsible for marketing yourself, your service offering, and the value you provide clients. It can be daunting to think about marketing, but it’s a skill you can learn like any other. You just have to be willing to find the messaging that is authentic to you, and to step out of your comfort zone to promote yourself in ways that stay true to your values. Lastly, freelancer income can be volatile, especially as you are starting out. Sometimes it’s an overwhelming feast, and other times it’s a depressing famine. As a result, freelancing can be a rollercoaster ride of emotions – one moment you feel good about where the business is going and the next you feel in a slump. Before you take the leap to freelancing, think about how you handle unpredictability and whether or not you now have the mindset, tools, and support to stay resilient during uncertain times. If you’re ready to step into freelancing, you may be interested in our upcoming Freelancer Accelerator at our San Francisco or Oakland business accelerators. The deadline to apply is June 15.